Then go back to not thinking about it. How blooom will help you. The second guessing and worrying ends here. You can rest easy knowing a professional advisor is handling things from here on out. No more poring over 401k investments that read like they are written in a foreign language. You can toss all that in the trash. You and your family are going to depend on your 401k someday. You better get it right. And if you aren’t doing it, you better find someone to do it for you. Professional advisory assistance has been shown to provide you with a greater potential long-term return. Of course, using your in-laws is still an option. We just think we’re better at it. Smart. Simple. No strings attached. For a quick analysis of your 401k in under 5 minutes. For simple 401k management & monitoring. Start Now $90 per additional account. This is how we dooo it. We reduce the hidden investment fees in your retirement account. Ask a Financial Advisor: exclusive online access for our clients. We give you the confidence to save more. We consistently monitor your retirement account. When things get out of balance in your account, we fix it. Don't know what to do when the market goes nuts? We'll be here to guide you. We regularly review your funds to make sure they are invested correctly. We educate you to make you a better investor – without putting anyone to sleep. Wall Street has made a habit of running in the opposite direction of investors with small accounts... maybe we should build something and run towards them. * Numbers as of September 6, 2018. 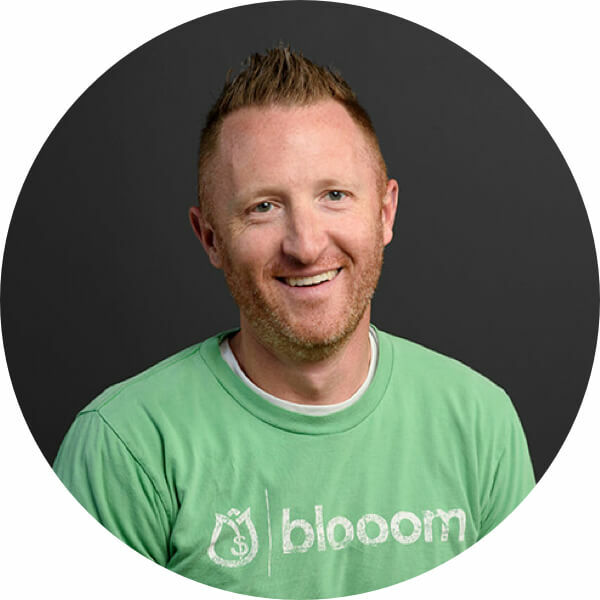 Blooom relies on the ability to receive updated account and transaction information. We do not guarantee we will be able to provide account monitoring to all accounts.